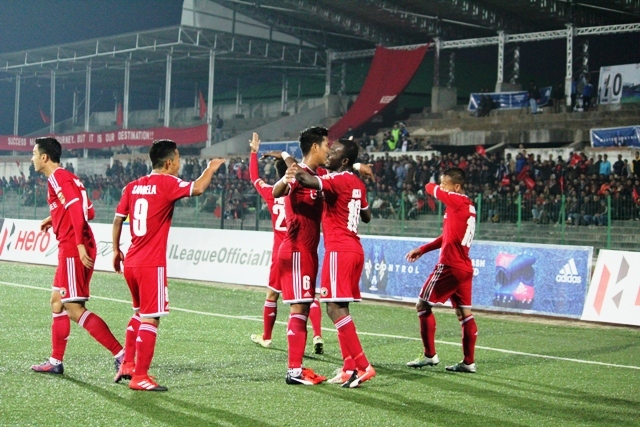 Shillong Lajong FC put an end to their losing run as they defeated debutants, Mineva Punjab FC 2-1 in their first home match of the season. Rupert Nongrum (17’) and Aser Dipanda (42’) were the heroes for the hosts who recorded their first points today. Though Minervans struck one back through Loveday Okechukwu in the added time, it was too late in the day to make any difference to the outcome. Lajong started as the better team and started pushing Minerva to back foot post the first 12 minutes of the game. In the 16th minute, Rupert Nongrum made a good run from the left to cross one inside and even though Loveday faltered at the back, Minerva were saved the blushes as their custodian came to the rescue just on time. The relief, however, was short-lived. A minute later Rupert collected a long ball up front and fired it low past the Minerva keeper to get the elusive breakthrough for the hosts. Five minutes later Nim Dorji Tamang and Dipanda made a mess of a good chance up front much to the dismay of Lajong gaffer Thangboi Singto. Dipanda yet again missed an opportunity when he headed one off target from close range in the 28th minute. The missed chances, however, were building pressure on the visitors who looked completely out of sorts during the first half. Dipanda’s efforts finally paid off in the 42nd minute, thanks to a defensive lapse by Loveday at the back. 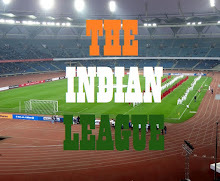 The Cameroonian skewed the ball in for Lajong’s decisive second goal. Crossing over, Minerva’s Ivan Filatov and Manandeep Singh were guilty of squandering potential conversion chances at the stroke of the hour mark. The Blue Warriors did pull one though thanks to Loveday, who pulled off a stunner from almost the centre pitch in the added time to reduce the margin.This was also Minerva Punjab's first goal in Hero I-League. Two minutes later Filatov’s header was brilliantly saved by Lajong custodian Vishal Kaith to deny an equaliser and ensure that Lajong take home their first three-pointer of the season. The victory rocketed bottom-placed Lajong to the seventh spot in the table, thus setting the tempo for the four matches to follow in the weeks to come. New entrants Minerva, meanwhile, took a plunge to the tenth spot following the loss.